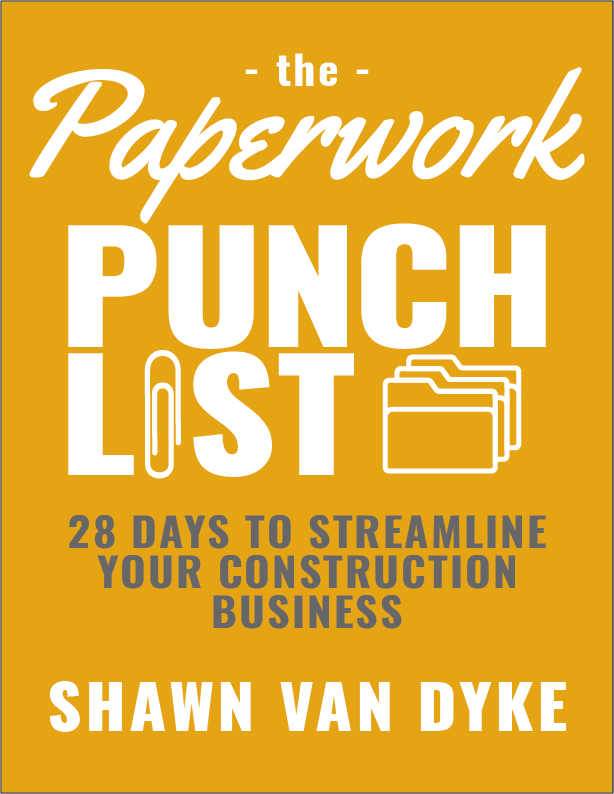 Shawn Van dyke is a keynote speaker and featured presenter for the construction industry. Shawn travels the country presenting, training and teaching construction business owners and their teams about the systems and strategies that lead to profitable, sustainable growth. He specializes in implementing operational and organizational strategies for construction companies. Shawn conducts live, in-person trainings and presentations. But you can also book him for virtual half-day and full day trainings through private video conference platforms. Click the button to book him for your next corporate training session. Check the events and dates listed below. Shawn might just be in your area. Book him for a private training or coaching session. Here’s what Shawn has booked for this year. Contact him if you will be near. Dallas Builders! Join Shawn at the Dallas Builders Show on November 13 - Plano Event Center - Plano, TX. Shawn will be giving the keynote address and teaching a breakout session. Read more. Meet Shawn in Baltimore, MD at the Remodeling | DeckExpo & JLC LIVE Show Octiber 9 - 11th, 2018. Shawn will be teaching two business conference sessions. Read more below. PCBC 2018, housing’s premier event, introduces the new Remodelers Leadership Forum, a two-day educational event connecting you with the business strategies and critical metrics used by the most successful remodelers in the country. James Hardie invites its SIDE Master Installers to the exclusive SIDE Master Academy – a three day, information-packed event designed to help installers improve and grow their businesses. January 25, 2018 – Washington D.C.
Shawn will be in Washington D.C for the Certainteed Business Building Workshop at the Gaylord Hotel and Resort – National Harbor. He will providing the keynote address: Solving the Skills Gap and the #KeepCraftAlive movement. If you missed Shawn at one of the events below, check the list above. Shawn will be in Orlando, FL for the NAHB International Builders Show. He will presenting 3 Simple Numbers to Measure the Success of Your Business. Learn how to develop financial projections using total revenue numbers. Learn how to use just three metrics to gauge the financial health of your business: Revenue Per Employee, Closing Rate and Average Weekly Billings. Discover how to track and use these metrics to make decisions that will affect the success of your business. Shawn will be in Portland, OR for the JLC LIVE Northwest conference. He will presenting Effective Time Management Through Block Scheduling and Designing your Ideal Week. This event is a “must attend” if you are in the Pacific Northwest. Click here for more information on JLC Live NW and contact Shawn if you would like him to speak to your organization or conduct a private training for your team. Shawn will be in the Denver, CO area meeting with clients and conducting private team trainings. Contact Shawn if you would like to book him for an event. S hawn will be in the Boston, MA area meeting with clients and conducting private team trainings. Contact Shawn if you would like to book him for an event. Shawn was the featured presenter at the Builders Do It Center in Roswell, NM. He presented his seminar on Fast and Accurate Estimating Techniques taught his signature program PAID FOR PLANNING. Shawn will be attended the Colorado IG event and discussed How to Attract Talent to the Trades in an open Q&A format . This event was organized by Lundgren Construction and sponsored by CIG Construction. Shawn appeared at the Builder’s First Source Event in Hopkinsville, KY. He spoke about Recruiting, Developing, and Maintaining Valuable Employees for your construction business. Follow Shawn online and see what he’s up to. Invite Shawn to train your team. Book him for your next industry event. Connect with him to learn more.